From a childhood in Cornwall, Charles went to St John’s Cambridge, where he read music then social and political science. After university he came to London to set up a production business called The Electric Company, producing 21 plays and a smattering of arts projects. The Electric Company developed and published a CD-ROM called “Balkan Odyssey” with Lord Owen, providing a huge hyper-linked archive on the diplomatic process in former Yugoslavia. In 1997 he formed Circus Foundation, a social incubator which set up a variety of research projects in the UK, Ghana and Sicily. Most of them sought to understand a particular community and empower it through digital technologies. He was heavily involved with the School for Social Entrepreneurs in London and became a friend and student of Lord Young of Dartington. 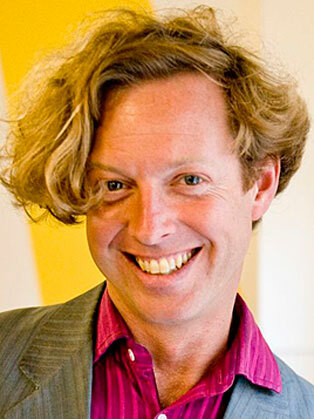 Charles came back to London in 2003 to form Trampoline Systems, a software business specialising in social analytics. It too was incubated by Circus. In 2009 Trampoline became world’s first technology business to raise finance through equity crowdfunding. Circus spun out One Click Orgs in 2008, a non-profit creating electronic and legal platforms for democratic member organisations. In 2009 this was followed by The Trampery, the first shared workspace in London’s Shoreditch neighbourhood. The Trampery is creating amazing buildings in London and further afield. Trampoline unveiled its “Cluster Map” technology in 2011 with the Tech City Map, a website packed with visualisations and analyses of 1,400 tech businesses in East London. The Prime Minister David Cameron launched the project. In 2012 this was followed by Cambridge Cluster Map, created in partnership with Cambridge super-angel Sherry Coutu.